Audrey has been with Adaptive since April of 2015- 4 years! 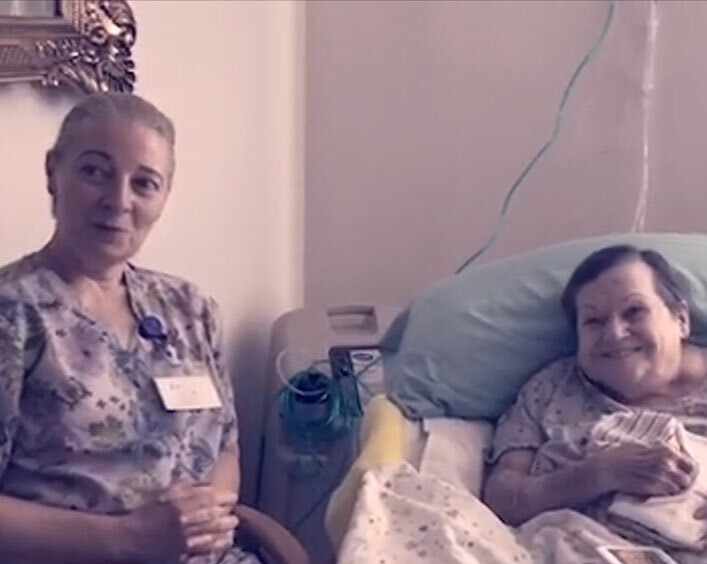 In that 4 year time, Audrey has had some great caregivers but she stated she really has a good connection with Kelsey- she’s like family! Kelsey has been working with Audrey for a year now. Since then, Audrey has made good strides! 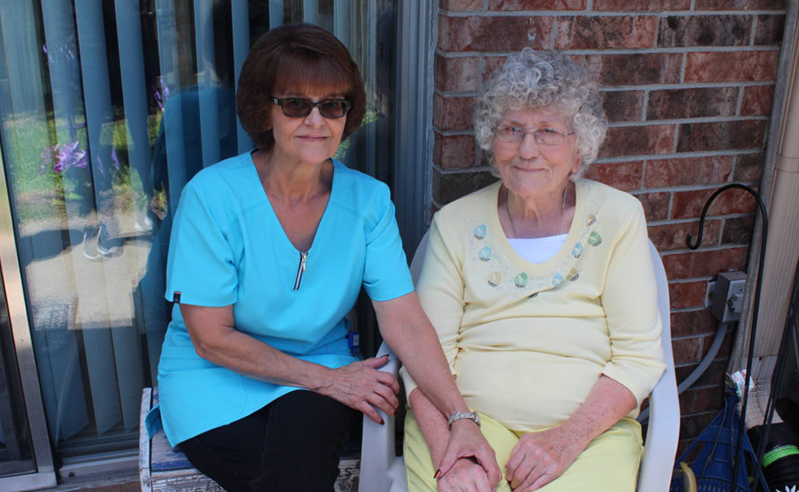 Kelsey has been able to help Audrey keep her apartment in order and keep Audrey safe in her home. Audrey enjoys going to garage sales and she was very excited for the weather to get nice soon so she and Kelsey could get out! Audrey had nothing but great things to say about Kelsey. Audrey said since starting with Adaptive, and especially after getting Kelsey as her HHA, her life “is a different world”. Audrey has family in the area, but she isn’t able to see them as much as she would like. Having Kelsey around, helps Audrey keep her mind off of missing her family. And Audrey stated she feels like Kelsey is an extension of her family. Kelsey helps Audrey keep track of her appointments and makes sure she makes it to them. “Kelsey just keeps things straight”. Kelsey has been an employee with Adaptive, on and off, since February of 2017. Kelsey is such a reliable and hard working HHA. Kelsey enjoys spending time with her family and going on walks with her kids and dog. She also likes to read and write. Kelsey enjoys helping others which is why she came to Adaptive! She choose to stick with Adaptive because of the friendly environment and the office staff is very helpful. 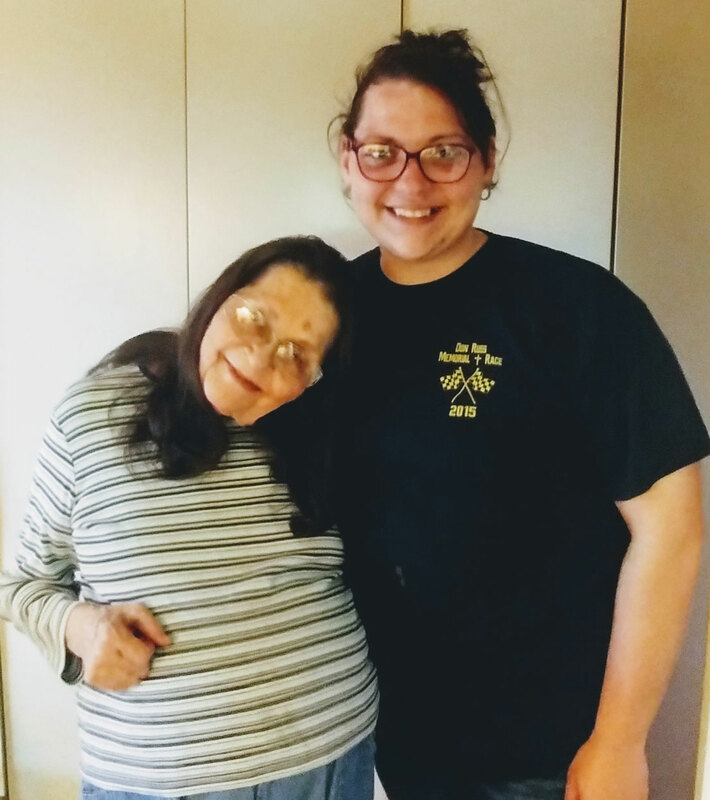 Since working for Adaptive, Kelsey stated her life has changed because she has a new perspective of the elderly population and she enjoys the relationship she has been able to form with Audrey. Kelsey is currently in school to get her nursing degree- I know she will make a great nurse because of the exceptional care she has given to our clients! The Bedford team is lucky to have such a great HHA like Kelsey!! This is our client, Barb—Wednesday was the anniversary of her husband’s death and tomorrow is their wedding anniversary. Barb has been feeling down the past couple weeks with the holidays coming up and missing her husband. 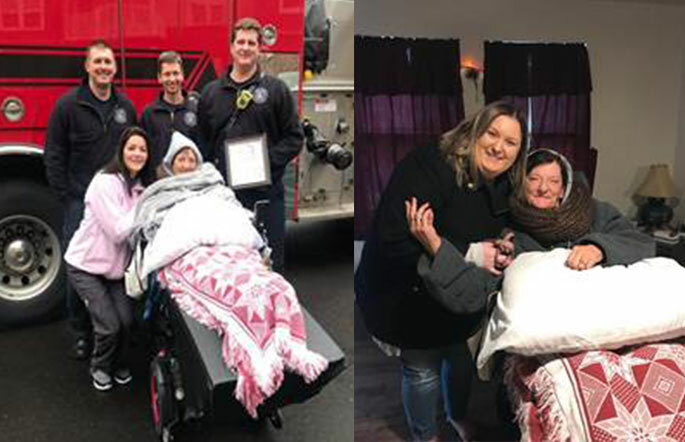 Barb mentioned to her caregiver, Chelsea how it is her wish to see a ladder truck in person as that is what her husband did for a living and she had never had the chance to see one. Today Chelsea made Barb’s Christmas wish come true! A couple firemen from the Columbus Fire Department stopped by Barb’s apartment and showed her the ins and outs of a ladder truck. The firemen spent about an hour talking with Barb about the truck and which department her husband worked for. Barb was in tears! She was so thankful for this opportunity and so appreciative that Chelsea took it upon herself to set this up. Taylor was able to join in on the surprise and take some pictures of this experience. 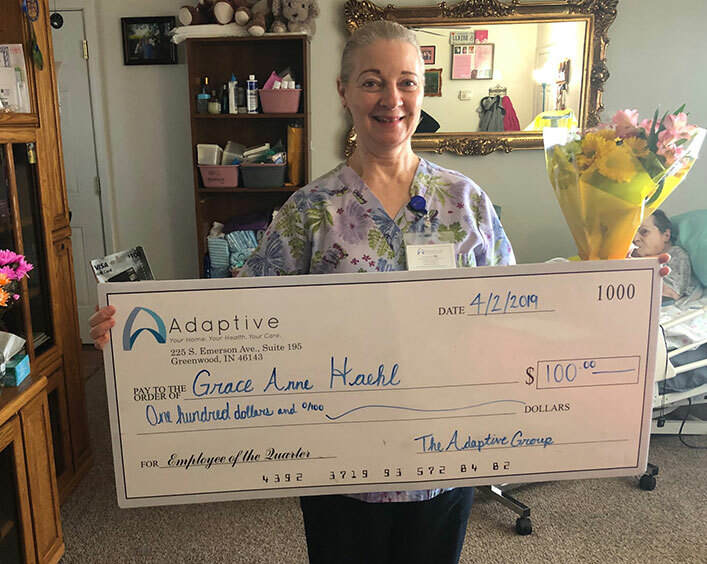 Grace was awarded Adaptive Achiever of the quarter for the 1st Q of 2019. She has been with us for around 6 months and as you can hear she has a deep passion for being a caregiver. Glenda came to be a client in the Greenwood office a little over a year ago as a Waiver client and they were quickly able to secure a PA for her to ensure she could receive the care she needed to remain in her home. Receiving care 7 days a week is important to Glenda and as you heard she now feels she has found a provider that can and will provide what she needs. Michael Workman has been a client of Adaptive’s for about a year. He started his care with Choice hours because he didn’t qualify for Medicaid. 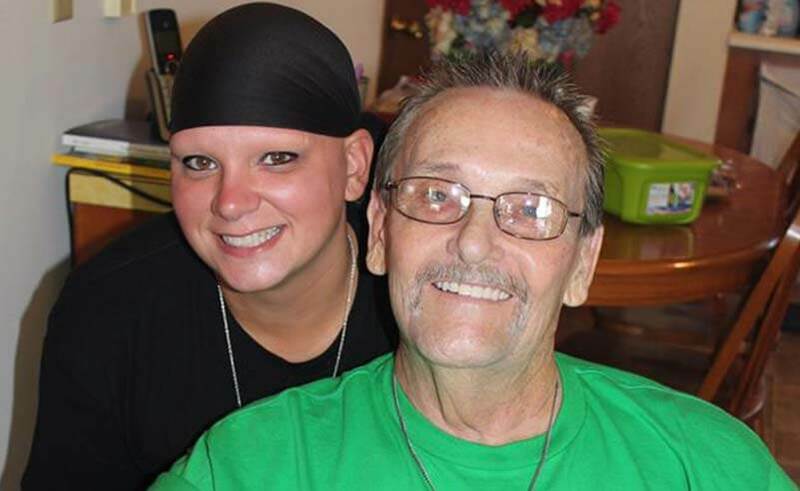 When Tiffani went out to meet Michael, she was curious as to why he had never received any help since he was totally dependent on another for care. About 30 years ago, he was in a sledding accident that left his left side paralyzed. Michael lives with his elderly father (92 years old) who has been trying his best to assist Michael with the help he needed, but it was getting very difficult for him. When Adaptive first came into Michael’s home, his father was very skeptical about us. Over the last 30 years, the family was promised great things from providers wanting to help, but they never followed through with that promise. So, when we came in promising help, he didn’t believe us. Tiffani was able to meet with Michael and his father multiple times, took donuts, and eventually they allowed her to help Michael get Medicaid. After phone calls to Michael’s case manager and to the state, Tiffani was able to get his Medicaid up and running. Now Michael is able to have 7 day a week care instead of only 6 hours a week. Our nurse, Vera, was able to get Michael set up with a new hospital bed and trapeze bar. Michael now is able to have a HHA in the home to help him get up and down to bed, the bathroom, and hours to spend time with him during the day and to take the load off his father. 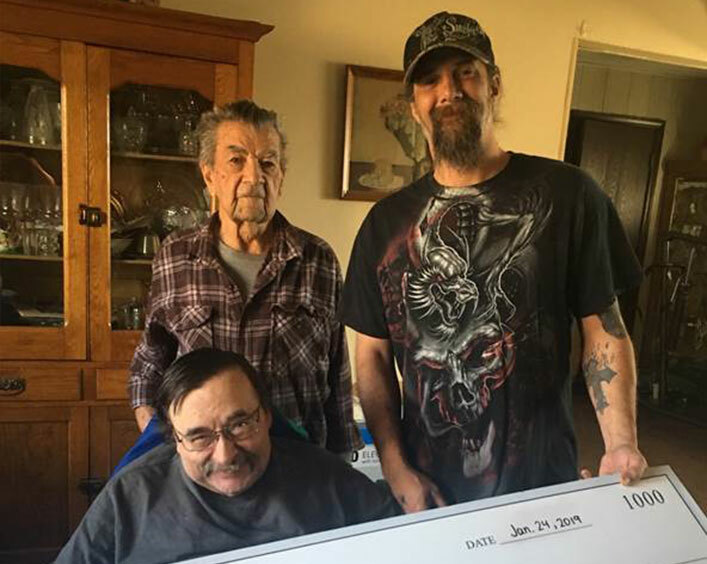 Michael’s caregiver, George Weaver, was recently awarded Caregiver of the Year 2019. George has not only given the family piece of mind knowing there is someone coming to help but he has also made a connection with Michael that he will keep with him for the rest of his life. George goes above and beyond for Michael. Although Michael’s life will never be as it once was, George has been able to give him some of that independence back- and not have to rely on his father. Both Michael and his father feel that George is part of the family. Tiffani went and presented the award to George at Michael’s house. Being able to physically see the difference we have made in his life is the reason we are here every day! I enjoy spending time with my family and playing board/card games! I always look forward to outings because I love new experiences and love meeting new people! My pets include cats and dogs, I enjoy being around them and watching them be playful. What made you choose Adaptive? I chose Adaptive because of the wonderful reviews I saw and I can honestly say I am glad I did! Name one way your life has changed since you started with Adaptive. I get more hours with Adaptive and my aides are committed so I have the same ones each week. It helps to have the same aides so I get to bond easier. What is your favorite part of your client experience? My favorite part is the quality of time my aides spend with me. I feel I am a priority to them and I love that they all are very kind and helpful to me! What has been your favorite experience with Adaptive? Adaptive has very kind hearted aides that care about me and my health. I don’t only feel I have great aides but I feel like I have great friendships formed also with them all! What would you tell your provider seeking friend about Adaptive? I have already referred a few people and would absolutely refer everyone to Adaptive! They are an excellent company! 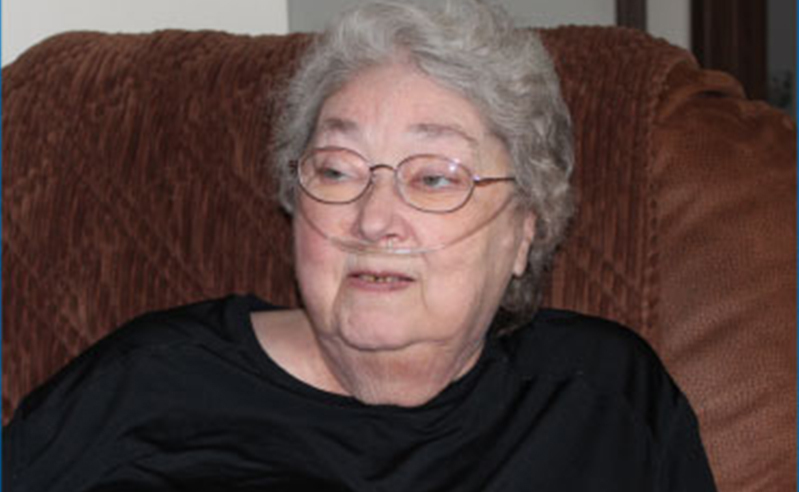 “Without Adaptive and Debbie, I would be in a nursing home” said Harriet. Harriet and Debbie are both thankful for the trusting relationship they have built with each other and internal office staff. Richard has been with our Bedford office for 2 ½ years now. Originally Richard and his caregiver, Johnni, were with another company, but he decided to switch providers. Johnni helped him choose Adaptive due to the great conversations with Adaptive staff. Originally just Richard came to Adaptive, but soon after Johnni followed. Richard’s favorite part about Adaptive is Johnni and the awesome office staff. Both Richard and Johnni agree that Adaptive is the first company they have been with that truly cares about their caregivers and clients. They go above and beyond to meet Richard’s needs. Richard loves that Johnni is always there for him, makes him laugh and takes him on adventures. They LOVE Snapchat as well! John has been with our Evansville office for a year now. His daughter in law says they went through three companies before coming to Adaptive. “Every contact we had in the beginning, and continue to have, is extremely positive. Karly is our favorite part about Adaptive. She truly cares about her clients, their opinions and I feel like we actually have a relationship with her” says John’s daughter in law. John says the best thing about his caregiver, Tiandra, is that she helps him out. He wouldn’t be able to be as independent as he is without them. He truly trusts her. Terry has been a client of our Jeffersonville office for almost four years now. 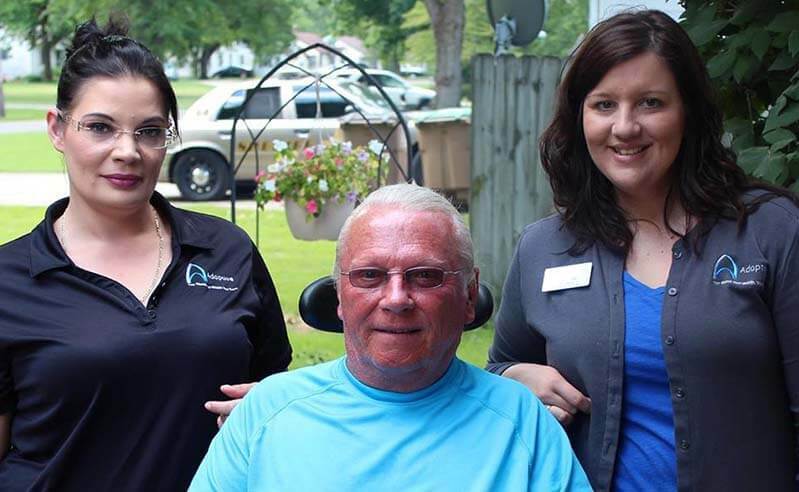 The hospital Terry was at after his accident suggested Adaptive to be his homecare company. One of Jeffersonville’s Clinical Managers, Jenny, came out to do his assessment and intake and Terry knew this was the company he wanted to stick with. 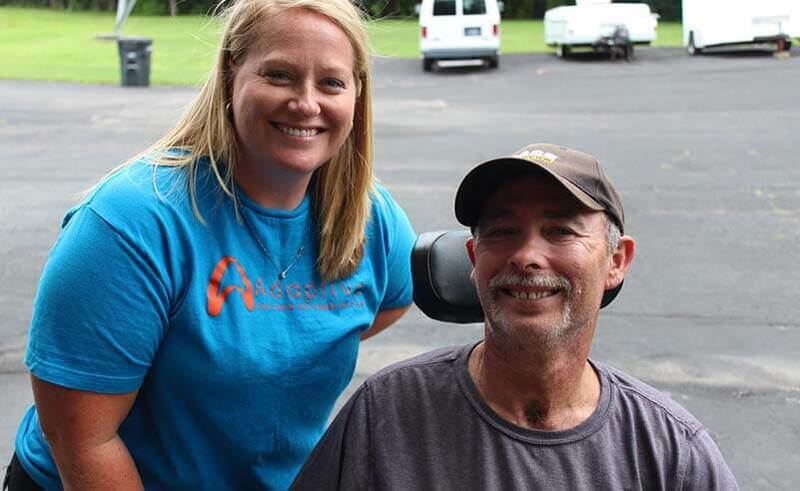 Terry says his favorite part about Adaptive is the relationships they have built with internal staff, especially Jenny. Another favorite part is that Sherry, a family member, is his caregiver. Sherry has been Terry’s caregiver his entire time at Adaptive and he doesn’t know what he would do without her. 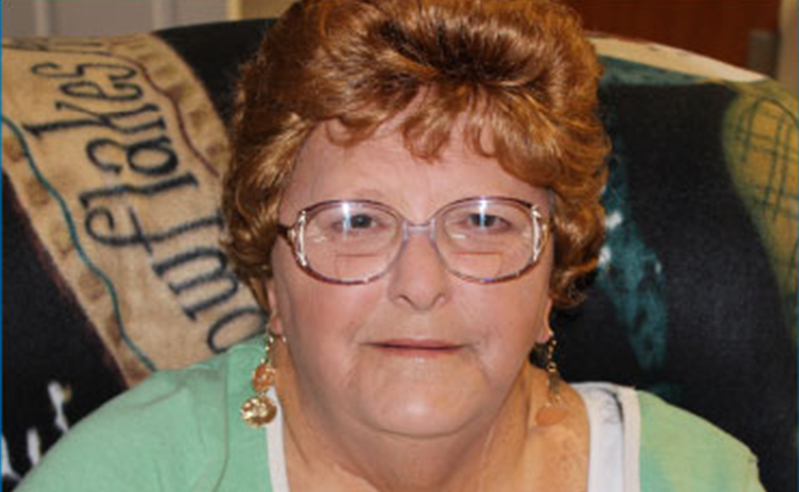 Gloria has been with Adaptive for four years now, originally as a client of the Jeffersonville office. 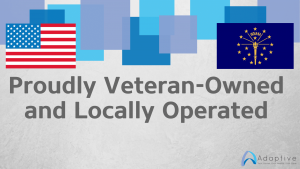 Once the New Albany office opened, she then transferred over there. Gloria was shopping around for a new company over four years ago and came across Adaptive. She wanted to support Adaptive, especially Mike and Nick because they are both veterans and her brother died in war. Her favorite part about Adaptive is her caregiver, Cinnamon, and how the office staff is always willing to help her. Cinnamon has been with Gloria for over three years now and she has changed Gloria’s life. Gloria says, “Cinnamon is always there. She gives me the best advice and has truly changed my life. She has a heart of gold and would do anything for me.” She is thankful for the help she has received from Adaptive. Theresa is an excellent cook. She goes above and beyond, like helping me plant flowers and a garden in my back yard.” Wanda loves that she came to Adaptive and met Theresa. She wouldn’t know where she would be without her now. William “Bill” has been a client of our Columbus office for over two years now. Bill was on the hunt for a new company and discovered Adaptive from the waiver pick list. 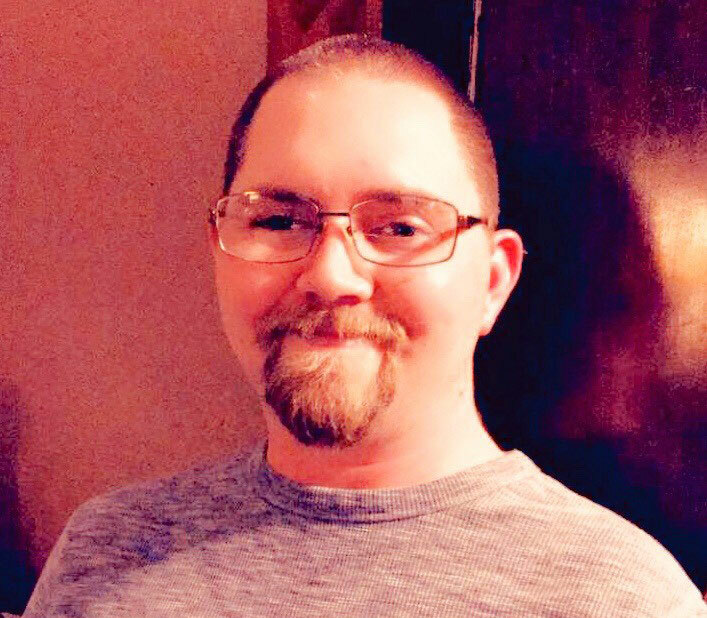 Over the last two years, his favorite part about Adaptive has been the relationships he has developed with office staff, his Clinical Manager Amber and his caregivers. Bill says, “My caregivers and Adaptive have helped me keep my independence, even though I am wheelchair bound. 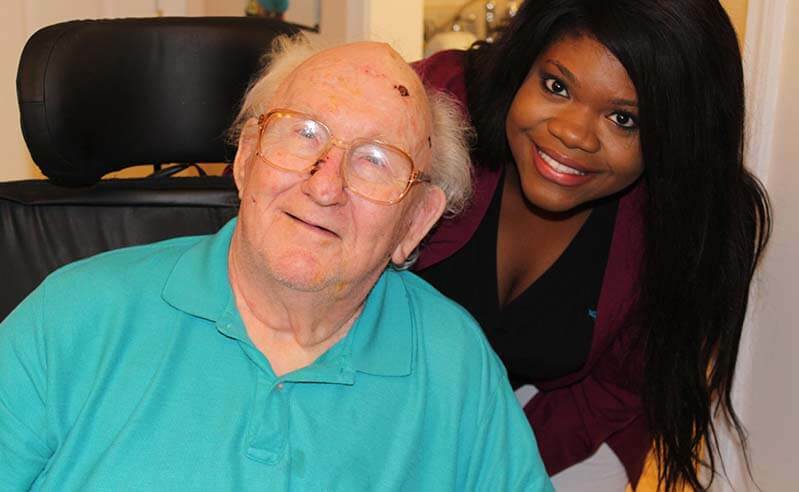 They push me to do things on my own and I am thankful for that.” Bill enjoys the fact that his caregivers are always professional and truly care about him and independence.